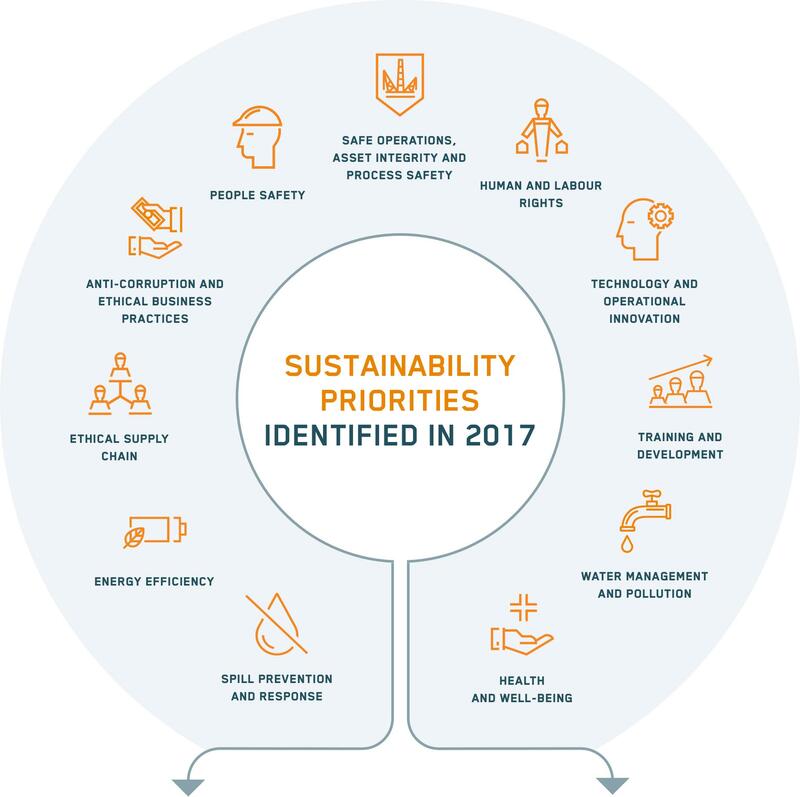 A strong and focused materiality assessment is the cornerstone of a sustainability strategy that is consistent with the core business, meets stakeholder expectations and produces high-impact results both for our Company and society. Materiality is about identifying the issues that are meaningful for Saipem and its stakeholders, and that are within its capacity to create long-term value to support the Company’s strategy. We plot the issues that are considered important for our long-term business success against those that pose risks or opportunities to our Company. Saipem employee and senior manager survey. Corporate Governance Committee and Scenarios.